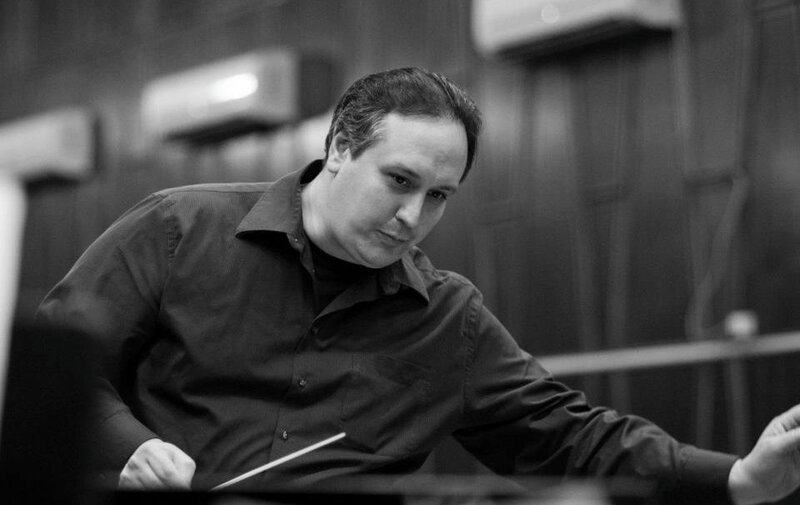 Michael Avagliano has served as music director of the Central Jersey Symphony since 2008, and was recently appointed music director of the Summit Symphony. He joined the faculty of Drew University as director of the Chamber Orchestra in 2015. Mr. Avagliano is increasingly in demand as a guest conductor in the New York area and beyond. Recent and upcoming appearances include the Bohuslav Martinu Philharmonic, Light Opera of New Jersey, the Newburgh Symphony, the University of Oregon Symphony, the YPHIL International Youth Philharmonic, the Scuola Populare di Testaccio in Rome, the Plainfield Symphony, and the Northern Dutchess Symphony. Under his leadership, the Central Jersey Symphony has drawn acclaim for a transformation in artistic achievement from audiences and critics alike. In the 2014 season, Mr. Avagliano conducted the orchestra’s first opera performances, collaborating with Light Opera of New Jersey for a fully staged production of Die Zauberflöte. The CJSO also presented Tchaikovsky’s Swan Lake with FM Dance Company. Previously, the orchestra was a runner-up for The American Prize, awarded each year for excellence in orchestral performance. Also an active violinist and violist, Mr. Avagliano has performed with the New Jersey Symphony, the Singapore Symphony, and the Indianapolis Chamber Orchestra. At Drew University, he also serves as the adjunct professor of violin and viola. He appears as soloist regularly in the region, including performances with the Monmouth Symphony, the Plainfield Symphony, The Bucks County Youth Orchestra, the Freelance Ensemble Artists, and the Metropolitan Orchestra of New Jersey, as well as in solo recital engagements. Mr. Avagliano frequently works with several orchestras, including the Harrisburg and Allentown symphonies and the Strauss Symphony of America. As a member of the critically acclaimed Madison String Quartet, Mr. Avagliano has performed on chamber series throughout the United States. Highlights of recent seasons include appearances at the Kenai Peninsula Festival in Alaska, the Ulster and Rhinebeck Chamber Series in New York, the Gabriel Chamber Ensemble series, and the Pennsylvania Consort. Mr. Avagliano resides in New Jersey with his wife, violinist Evelyn Estava.